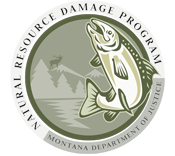 We receive funding from Butte-Silver Bow to provide outreach and educational programming about stormwater issues. For more information about stormwater in Butte, Montana please visit bsbstormwater.org. If you are interested in Stormwater Education Programming for your classroom in Butte please contact us! We can also do a drain marking event with your students.